Dr. Dana J. Saltzman is a top primary care physician and acupuncturist in New York City, providing the highest-quality care for patients from Manhattan and throughout the New York metro region at Midtown Health & Wellness. As a skilled primary care doctor, Dr. Saltzman offers the most advanced care options for patients, including both traditional Western and alternative Eastern options. Her practice is well-equipped to provide patients with the highest-quality care and treatment for acute and chronic conditions including asthma, stress and anxiety, ADHD, PMS, women's health issues and she provides STD testing, ultrasound services and acupuncture on site. After earning her medical degree at New York Medical College, Dr. Saltzman completed her residency in internal medicine at the prestigious St. Vincent's Hospital in New York City, receiving state-of-the-art training in acute and primary care services in a community hospital setting in Greenwich Village. In 2000, Dr. Saltzman received her acupuncturist license from new York Medical College, fulfilling her desire to offer her patients the broadest array of treatment options drawing from both Western and Eastern medicine. In addition to her formal training, Dr. Saltzman is committed to continuing education activities that enable her to remain up to date with novel therapeutic approaches and emerging treatments based on cutting-edge clinical research, and to actively pursue her interest in Eastern medicine. She maintains active memberships in the American College of Physicians and Physicians for Social Responsibility, and she has studied botanical medicine with Dr. Andrew Weill at Columbia University. Dr. Saltzman is dedicated to her patients' well-being at every stage of life, providing compassionate, comprehensive care for men and women all the way through the senior years. Since opening her practice more than a decade ago, she has made patient-focused care her priority, providing every patient with customized care, as well as the information and education they need to understand their health and their challenges and to feel confident in the decisions they make about their care. Midtown Health & Wellness is conveniently located on West 46th Street in Manhattan, and the practice accepts most major medical insurance plans. Our team is dedicated to providing our patients with the highest quality care. Midtown Health & Wellness is small practice where we take the time to get to know our patients. We are located in the heart of Midtown Manhattan near Grand Central and Penn Station. We have streamlined our front office to minimize waiting times and to maximize your time with the doctor. Registration is completed before your visit. This makes the process fast and easy. We understand that you are taking a break from your busy workday to see us. We want to get you back to work as soon as possible. Whether you need an annual checkup or have complex health problems, our team of Primary Care Doctors & Internists is poised to treat you from head to toe and to coordinate your care at every juncture. A Primary Care Doctor is the one you see first - before you get sick, before you need to see a specialist, and before you go to the hospital. At Midtown Health and Wellness, we are Primary Care Doctors who will work with you to address your health needs with tests, screenings, plain spoken medical advice and coordination among your medical specialists. We care about our patients. Our goal is to to be your partners in health for the long term. 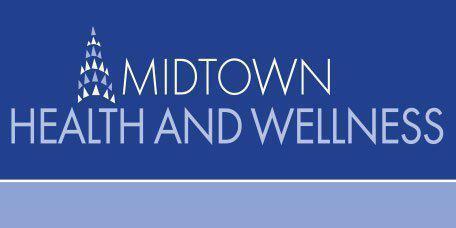 Extended Hours Midtown Health and Wellness now has extended evening and weekend hours! Click "Contact" above to learn more.